Active Learning is an approach to instruction where students engage with the material they’re studying–through writing, talking, listening and reflecting–in order to truly understand content. 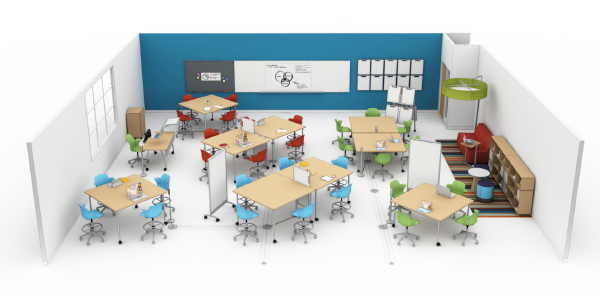 Active Learning requires students to do more than just passively listening and memorizing, so an active learning classroom is designed to encourage flexibility and collaboration. 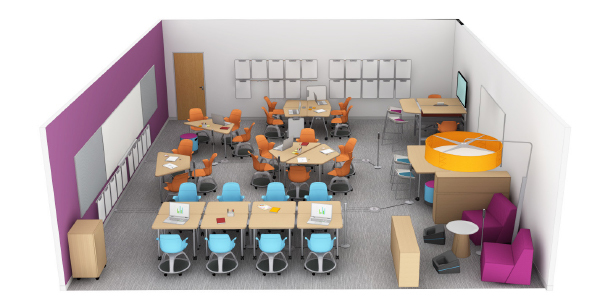 Out of more than 550 applications, 15 schools across North America will receive classroom redesigns as recipients of Steelcase Education’s 2017 Active Learning Center Grant. Red Thread is proud to be working with two of the 15 Grant winners! 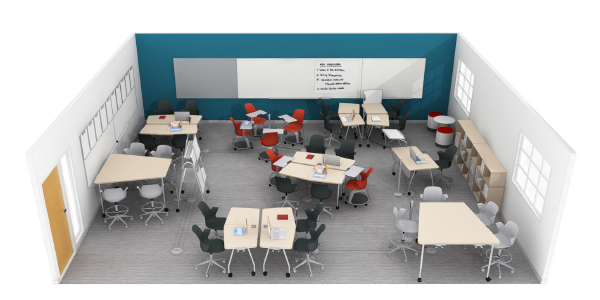 This summer, we will be installing Steelcase Education active learning classrooms at the University of Massachusetts Boston (Boston, MA) by our Boston team and at Mount Desert Island High School (Bar Harbor, ME) by our Portland team. In its third year, the grant program supports both educators and students by creating a learning environment that fosters engagement, collaboration and creativity. The grant, valued at $65,000, allows recipients to choose from one of four active learning classroom types. 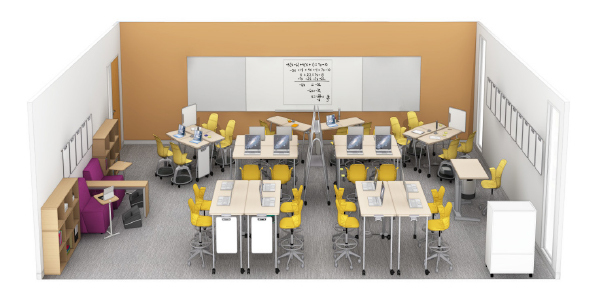 It not only covers furniture, design and installation, but also training on furniture usage and pre- and post-occupancy assessments of the new spaces. Related: Power up with Steelcase’s Thread! Congratulations to Mount Desert Island HS and UMass Boston – we look forward to hearing how your students respond to their new classroom! Contact us to learn more about how active learning can impact your students!